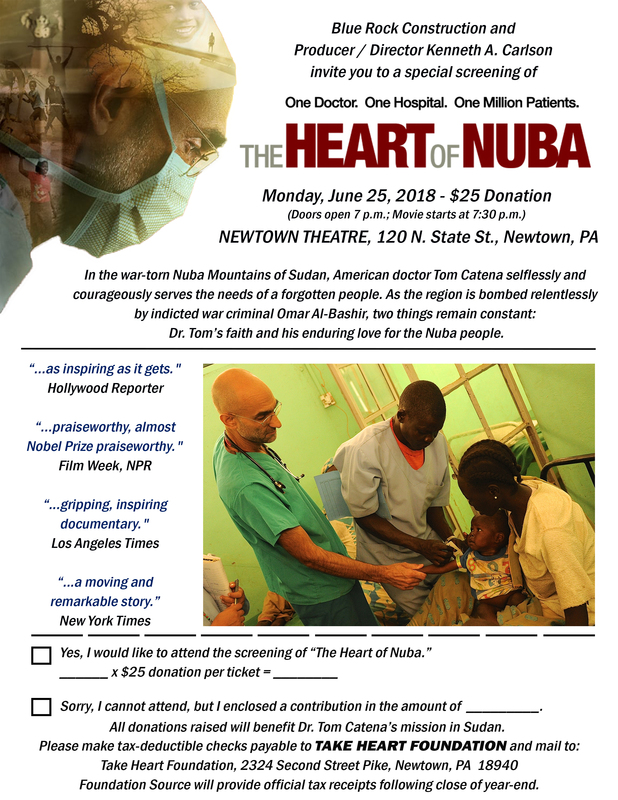 Join Blue Rock at the movies for "The Heart of Nuba" - Blue Rock Construction, Inc.
Join Blue Rock Construction at the Newtown Theatre on Monday, June 25, for the screening of “The Heart of Nuba,” an inspiring documentary that tells the story of Dr. Tom Catena’s life-saving mission in the Nuba mountains of Sudan. View the official movie trailer HERE. Limited tickets are available so please get your ticket request in right away by emailing Christine Anderson at canderson@blrck.com. All proceeds from the $25 tax-deductible donation will benefit Dr. Tom’s mission.